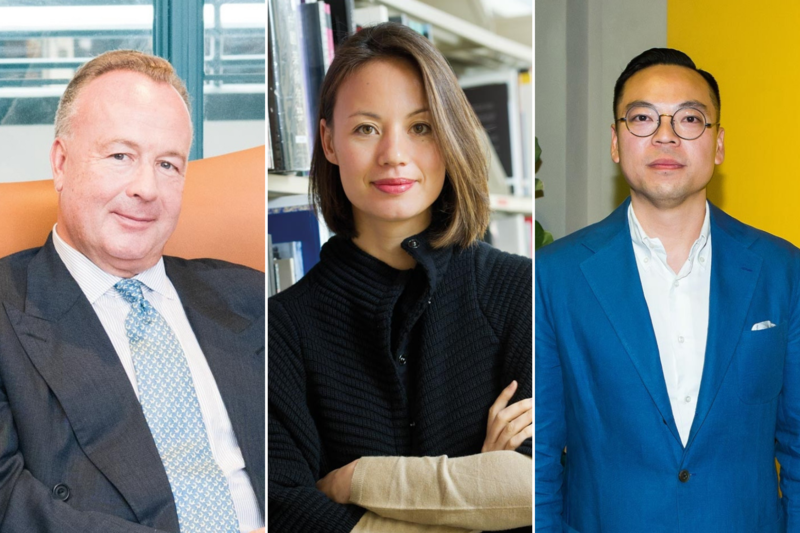 "Hong Kong has seen some exciting developments in the art scene over the past 10 years but I feel that our city can do with more collector-driven spaces: private museums and art foundation projects. These don’t have to only be in the urban areas—they could be out in the New Territories where there’s more space to build facilities that can host things such as artist residencies or house large public art." "We need a complete overhaul of the education system where art, creativity and deeper thinking takes centre stage, where artists are part of the teaching faculty and where art is taught alongside maths, science and other subjects. And how about a statutory public holiday, Make Art Day? This could be where everyone takes a day to slow down and make art. It’s a day where creativity is celebrated and where communities come together to perform, sing, write and make art without any specific outcome." "The Tate Britain recently presented Queer British Art, its first exhibition dedicated to LGBTQ artists, and it is my wish for Hong Kong to celebrate LBGTQ art similarly on such a prominent cultural platform. Having successfully hosted Asia’s first LGBTQ-themed exhibition at the Museum of Contemporary Art in Taipei in 2017, I would love to do the same in Hong Kong, to show our support as a vibrant city and arts community. Showcasing the best of queer art from the Greater China region and Asia would be a great next step for Hong Kong’s evolving cultural scene." See also: How LGBT-friendly Is Hong Kong? "Hong Kong needs more space for artists, like an island designated for low or no rental to artists on a merit basis—a type of Villa Massimo in Hong Kong. What makes art flourish is space, and an environment that fires up imagination coupled with lots of peers. Are there any fairy-tale islands out there waiting to be woken up in Snow White fashion?" "My hope for the future of culture in Hong Kong is that the city will become [the intellectual] centre of Chinese classical scholarship, Indian classics and contemporary thought, Japanese and Korean studies, Tibetan scholarship and Himalayan studies. There is a dire need for a place in Asia where the great traditions of Asia’s past can meet and be pursued in earnest. Hong Kong could truly become the meeting ground of the creative arts in Asia, and not just a trading post." "For Hong Kong to flourish, the power of the arts must be fully understood, valued and leveraged. To do so, our education system must fully embrace the arts. We must incorporate STEAM education: science, technology, engineering, the arts and maths, not just STEM. "And more outdoor and underused spaces should be given to creativity to allow people’s ideas to come to fruition, be they islands, warehouses, unused shops, empty lots, parks, streets, markets or offices. The arts are so much more than a commodity. The arts are about observation, empathy, creative expression and connection. They bring richness and celebrate diversity in our community. We need them more than ever in a technology-driven world." "Hong Kong is a wealthy city and we should be able to afford spectacular public art for all to enjoy. Look at Anish Kapoor’s Cloud Gate in Chicago—it’s not only breathtaking but also engages the public and brings such finesse and magic to the city. Chicago is all the better for it. Naturally, I would like to see emphasis on local artists and their works, but I also think that for certain projects or locales, Hong Kong should extend an invitation to all and conduct a worldwide search for public pieces. May the best artist or artwork win." "My art dream would be for the wish of my mother, Alice King, to finally be fulfilled and for a world-class ink museum to be established in Hong Kong. Ink painting is a unique and defining characteristic of Chinese art and culture, both traditional and contemporary, and it is a shame that there is no museum in the world dedicated solely to its preservation, promotion and presentation. "Many of today’s top contemporary Chinese painters draw on ink painting traditions and even I, as a photographer, often find my compositions informed by ink painting aesthetics. Hong Kong is a natural home for an ink museum because we already have dedicated scholars, world-class collections and experienced curators. Indeed, it was Hong Kong’s own Lui Shou-kwan who founded the New Ink Movement." Lumen Kinoshita Director of financial services firm KGI Asia; founder of her own jewellery line, L.Luminous. Marissa Fung-Shaw Actively serves on boards and advisory committees for arts and culture and youth empowerment organisations.